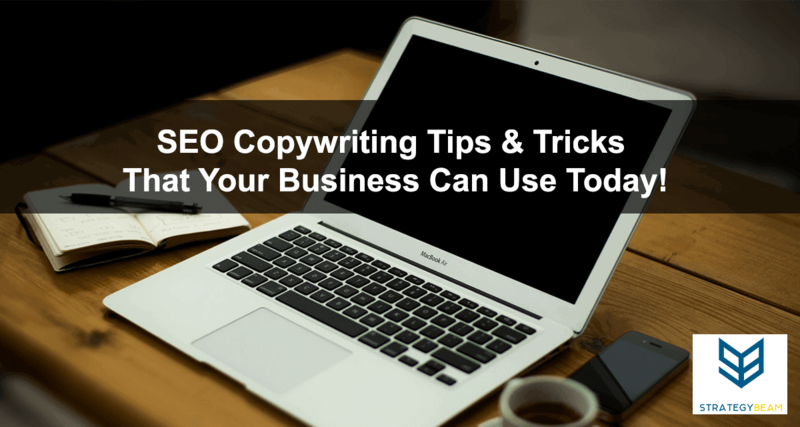 SEO Copywriting Tips & Tricks That Your Business Can Use Today! The goal of any business is to make money. While you should provide great products and services that inspire, enriches, and improves the lives of your customers, your business needs to make money. SEO Copywriting is one aspect that will help your business improve your online presence and increase sales for your online business. Many small business owners fail to realize that without making money they can’t achieve their dreams. But how do you make money? As you continue to grow your business you should use the best online marketing tools for small business to help you achieve your goals, but here is a short list of tips to help you grow and make more money! To make sales you need people to convert on your website. The people who convert to paying customers on your website are qualified leads who find your content. Qualified leads find your website by asking questions for their problems on search engines. Search engines use keywords and other indicators to align content with online search queries. Online searches and keywords are based on user intent. This is where SEO Copywriting comes into play and can help you make more money. This is because SEO Copywriting is when you write for your audience, but optimize to be found on search engines. Since you want to write great content that addresses the needs of your customers, you first need to know who your customers are and what they are looking for. Once you know who your customers are and what they are looking for your business can make content that will get found in search engines and convert. Know the needs and goals of your customers. This is the first step to writing great online content because your business exists to serve your customers. You need to start with your customers and build your entire business (including online content) around them. Understand how they search for their solutions. If you want your content to be found online then you will need to know how people search for solutions. This will help you produce relevant content that gets found by your target audience. Publish great content that meets their needs and gets found by Google. You do this by optimizing keywords so when your customers search for something your information gets found and ranks on Google. Keyword research is one of the best ways to get your information found online, and you can do this by writing valuable content for your customers and that gets found by Google. Whenever someone searches for something on Google they are asking a question. Keywords are how your customers search for their answers. Google employs thousands of psychologist and engineers who work to understand the needs of online searchers and present the best content based on their searches. Keywords show the intent of your customers so you should produce content around these keywords to help your business get found online. You can use several copywriting tips to grow your business if you want to hit your goals and build a profitable company! While optimizing for search engines you should also produce content that addresses the needs of your customers. You should optimize your content while aligning their needs with your business goals. Are you ready to increase your online presence and drive more qualified leads to your website today? A professional SEO Copywriter can help you position your business online to increase sales and reach your business goals today. Sounds good? Go ahead and fill out the simple form below to start the process to grow your business with our marketing experts!